It's important to teach your child about cultural diversity from an early age. They need to know that people hail from different countries, have customs that we might not be used to, and also their appearance might not look just like ours. Answering any questions that your child might have about race and background is essential for learning. Remember, everyone should celebrate who they are. Prettie Girls has four different dolls that make up the collection. Each doll has their own unique story, style, and personality and are waiting for you to learn it! Lena,Valencia, Kimani, and Dahlia embody the positive and aspirational attributes that every little girl can embrace. Every child needs a positive role model to look up to and a Prettie Girl doll not only serves as a role model, but a fun toy too. Why not let your child enjoy playing with the doll while receiving a wonderful message too. Keep Prettie Girls in mind for a birthday or Christmas present as well as an young graduate gift too. Do you think the Prettie Girls will give me some fashion tips? Valencia (who is in purple above) is bold and daring and has a passion for healthy lifestyle. She's a young athletic girl who focuses on eating right, exercising, and being the best she can be. Valencia wishes for every girl to achieve their goals and dreams in life and be as happy as possible. She'd love to find a home in your child's room or playroom to spend time with them everyday as they play with her. You'll feel happy knowing that your child is playing with a doll that sends such a positive message. Valencia is not wearing inappropriate clothes or too much makeup. Her image is very respectful and certainly one you want your young daughter exposed to. Every girl needs a doll in their life, when will your own pretty daughter receive her Prettie Girl doll? I'd like to win this doll for a daughter of a friend of mine! My daughter would love this, she is really into pretend right now! I would love to win this for my daughters since they love dolls and I love that they look more like a normal person looks versus the skinny barbies. would love to win for my daughter! she loves dolls! I would like to win this for my niece, she loves dolls. My daughter age 4, Almost 5. Is becoming more and more interested in dolls, barbies, baby dolls. She's growing out of the baby toy stage, and growing into a more mature stage where she is getting more involved with toys for kids her age. Which is great considering she has 3 older brothers! My daughter is big into playing with dolls this year and she would be so excited!! Actually I would like to win this for myself. I collect and play with fashion dolls -- design outfits etc... I LOVE DOLLS and would give her a terrific home. She could never have enough dolls. What a great doll...my daughter would enjoy it. I would like to win this doll for my granddaughter because I feel it is important for children to learn about other cultures. 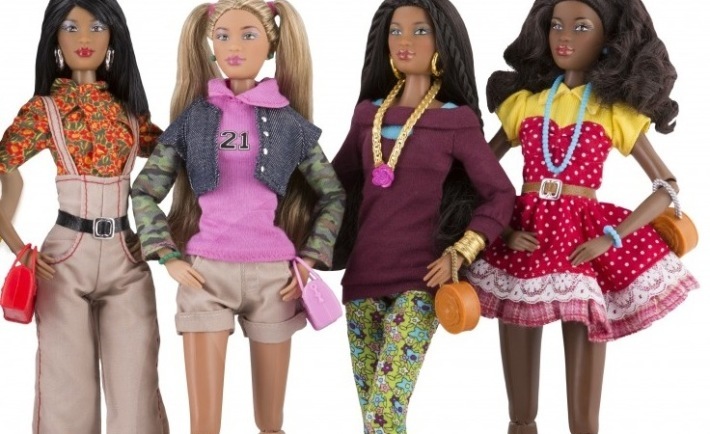 Also, these dolls represent traits that are positive like respect, hard work and setting goals for the future. I would like to win this for my daughter as I like the positive image it would be giving her. I like how appropriate the clothing is on the doll and love how it enforces all the positives aspects of being a girl. I would love this for my niece because they give a different take on fashion dolls.